FINRA recently issued an Acceptance Waiver and Consent (“AWC”) with Aegis Capital in which Aegis Capital was censured, fined $27,500, ordered to pay $620.30, plus interest, in restitution to customers, and required to revise its written supervisory procedures. (See FINRA Case #2016048939201). Aegis consented to the sanctions and to the entry of findings that it failed to execute orders fully and promptly. FINRA’s findings stated that the firm failed to use reasonable diligence to ascertain the best inter-dealer market and failed to buy or sell in such a market so that the resultant price to its customer was as favorable as possible under prevailing market conditions. FINRA’s findings also stated that the firm’s supervisory system did not provide for supervision reasonably designed to achieve compliance with respect to certain applicable securities laws and regulations and FINRA rules. FINRA further found that Aegis Capital’s written supervisory procedures failed to sufficiently provide for one or more of the minimum requirements for adequate FINRA compliance. FINRA found that in 22 instances, Aegis Capital failed to execute orders fully and promptly. Additionally, for 11 of the above-referenced 22 orders, the firm failed to use reasonable diligence to ascertain the best inter-dealer market and failed to buy or sell in such market so that the resultant price to its customer was as favorable as possible under prevailing market conditions. FINRA found that Aegis Capital’s supervisory system did not provide for supervision reasonably designed to achieve compliance with respect to certain applicable securities laws and regulations and the Rules of FINRA. Aegis Capital Corp. was founded in 1984 and is a full service retail and institutional broker-dealer located in New York City. Aegis Capital Corp.’s main office is located at 810 7th Ave. 18th and 22nd Floor New York, NY 10019. Our law firm represents individual investors nationwide with significant losses in their portfolios, retirement plans or investment accounts. Our securities team is dedicated to assisting investors to recover losses suffered by unsuitability, over-concentration, fraud, misrepresentation, self-dealing, unauthorized trades or other wrongful acts, whether intentional or negligent. 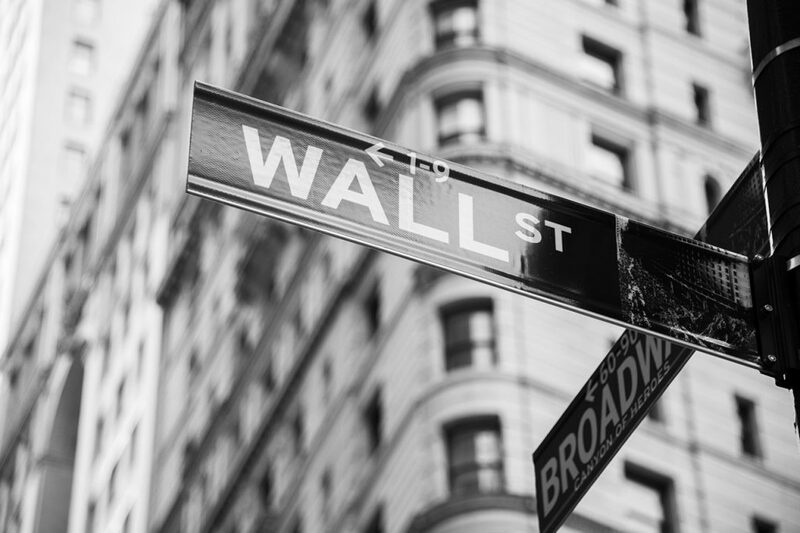 We have experience handling cases against the major Wall Street broker dealers. Let our team work for you. Call us at (239) 649-0050 or contact us through our Website to arrange a free confidential consultation with an attorney to discuss your experiences with your stock broker which resulted in investment losses. According to FINRA’s Disciplinary and Other FINRA Actions publication, FINRA issued a suspension and fine against Michael Fang (CRD# 5653787) of J.P. Morgan Securities, LLC (CRD# 79). FINRA alleged that between May 2015 and August 2015, and while associated with J.P. Morgan Securities, Fang engaged in an outside business activity without providing any notice to his member firm in violation of FINRA Rules. FINRA Rule 3270 prohibits a registered person from, among other things, being compensated or having the expectation of compensation from any other person as a result of any business activity outside the scope of the relationship with his or her member firm without providing prior written notice to the firm. FINRA Rule 2010 requires associated persons to “observe high standards of commercial honor and just and equitable principles of trade.” A violation of FINRA Rule 3270 is considered inconsistent with high standards of commercial honor and just and equitable principles of trade. FINRA alleged that during the time period at issue, Respondent participated in an undisclosed outside business activity with a customer of J.P. Morgan to purchase high-end cars in the United States and export them to China. FINRA alleged that Fang’s role was to bring prospective customers to car dealerships to make purchases and then to assist with delivering those cars to United States ports for transport to China. FINRA alleged that Fang was not compensated from this business during the Relevant Period, but he entered the business arrangement with the expectation that he would receive approximately $250.00 to $400.00 for each car delivered. FINRA alleged that Michael Fang failed to notify his firm about his participation in the car exporting business. FINRA alleged that because of the foregoing Michael Fang violated FINRA Rules 3270 and 2010. As a result, Michael Fang consented to FINRA imposing sanctions of a sixty (60) day suspension from associating with any FINRA member in any capacity and a fine of $5,000. If you have suffered investment losses as a result of your broker’s or brokerage firm’s misconduct, contact the Hanley Law to discuss your legal options. The Hanley Law is dedicated to helping investors nationwide. If you have lost money as a result of your broker’s recommendations, you may be entitled to recover your investment losses. Contact our office toll free at (239) 649-0050 for a complimentary initial consultation. According to FINRA’s Disciplinary and Other FINRA Actions publication, from July 2013 through January 2014 broker Steven Colacurcio (CRD# 1717483) of Boca Raton Florida was fined and suspended by FINRA as a result of allegations that he exercised discretionary power in a customer’s account, without obtaining prior written authorization from the customer and without having the account accepted as a discretionary account by his employing FINRA member firm Dawson James Securities. As a result of such conduct, FINRA alleged that Colacurcio violated NASD Rule 2510(b) and FINRA Rule 2010. NASD Rule 2510(b) provides that registered persons may not exercise discretionary power in a customer’s account unless the customer has given prior written authorization and the account has been accepted by the member firm in writing as a discretionary account. FINRA alleged that Colacurcio exercised discretionary power in a customer’s account by effecting 11 transactions, without obtaining prior written authorization from the customer and without having the account accepted as a discretionary account by his employing FINRA member firm Dawson James Securities. As a result of such conduct, Cotacurcio consented to FINRA’s imposition of a fifteen (15) business day suspension from association with any FINRA member in all capacities and a $5,000 fine. Great Western Financial Securities Corp.
G.K. Scott & Co., Inc.
Hanley Law is currently investigating claims against Transamerica Financial Advisors, Inc. (CRD# 16164) regarding Bruce Albert Slater (CRD# 1547792) and Ridgewood Energy. The Hanley Law recently filed a FINRA Arbitration claim on behalf of seven (7) investors in which it was alleged that financial advisor Bruce Slater negligently and/or fraudulently invested Claimants’ retirement funds in Ridgewood Energy alternative investments, among other unsuitable products. Bruce Albert Slater (CRD#: 1547792), was an associated person of Transamerica, a FINRA member, from June 1997 to March 2016. According to FINRA Brokercheck, Bruce Slater is currently registered with Sagepoint Financial, Inc. (CRD#: 133763). The seven (7) Claimants bringing a FINRA arbitration claim against Transamerica have alleged that Slater used his ties with the Claimants, and their implicit trust in him, to benefit himself by recommending investments which earned him the highest level of commissions despite their unsuitability for Claimants’ investment profiles. According to FINRA’s Brokercheck Bruce Slater has four other customer complaints currently on his CRD record; three of the most recent complaints appear to be related to the same investments at issue in the claims currently being asserted by Claimants in the pending FINRA arbitration. Claimants allege that at the recommendation of Slater, Claimants invested over $2 million dollars in Ridgewood Energy Funds Q, S, T, U, V, W, X and Y, Ridgewood Energy A-1 Fund, Ridgewood Energy B-1 Fund, Ridgewood Energy Bluewater Oil Fund II and Ridgewater Energy Bluewater Oil Fund III. Claimants further allege that Slater recommended that Claimants invest over $3 million in a Transamerica Variable Annuities. Claimants allege that in order to fund the Transamerica Variable Annuity purchases, Slater recommended that Claimants either surrender or rollover the annuities they owned to purchase the new Transamerica annuities. Claimants allege that by purchasing the new annuities, Claimants entered into new surrender periods which further complicated the fact that Slater over-allocated the Claimants’ portfolios into illiquid non-traded highly speculative alternative investments at a time when they were required to take required minimum distributions. Claimants have alleged that Slater failed to advise them of the costs and surrender charges associated with the purchase of the new Transamerica Variable Annuities. Claimants have further alleged that the only reason Slater recommended that the Claimants rollover their annuities was so that he could earn sizeable commissions. Furthermore, Claimants allege that Slater invested the Claimants retirement funds in accounts with Community National Bank, American Funds, Fidelity, Franklin Square Alternative Investments, Inland/Wells REITS, Inland Western REIT, Inland Real Estate Corp. Inland Retail Real Estate, Retail Properties of America, Xenia Hotels and Resorts, Inc., Fidelity, Franklin Templeton, Oppenheimer, Allianz Funds and Pioneer Investments. Claimants further allege that Slater was highly enthusiastic about oil and gas investments, and in particular Ridgewood Energy. Claimants allege that Slater often spoke to the Claimants in technical terms regarding the geopolitics of oil, oil exploration and drilling operations and he often bragged about how great the geologist and petroleum engineers at Ridgewood were. Claimants allege that Slater told the Claimants that they should buy as much Ridgewood as possible because the Ridgewood investments would provide so much income that they wouldn’t need to ever worry about money or any other investments again. Claimants allege that Slater told the Claimants that their investments in Ridgewood were a “guarantee”. Ridgewood Energy Investments are private placements offered as Regulation D offerings. Simply stated, a private placement is an offering of a company’s securities that is not registered with the Securities and Exchange Commission (SEC) and is not offered to the public at large. The Ridgewood private placements are offered pursuant to Regulation D of the Securities Act of 1933, which specifies the amount of money that can be raised and the type of investor that can be solicited to participate in the offering. Claimants allege that they made various Ridgewood Energy investments between 2005 and 2014 based on the recommendations of Slater. Claimants allege that Slater’s fraudulent recommendations to invest in Ridgewood Energy were continuing in nature and that over the years, Claimants discussed their investments with Slater and he consistently misrepresented the investments and even recommended that Claimants invest more money in Ridgewood Energy. Claimants allege that Slater over-concentrated Claimants in illiquid private placements when investing a substantial portion of their net worth in Ridgewood Energy Funds. Claimants are all in their retirement years. Claimants allege that due to the misconduct of Slater, Claimants are not able to enjoy the retirement they saved for. Claimants allege that Slater was aware that Claimants trusted him completely and he used his position of trust to defraud the Claimants and financially benefit himself. As a result of the foregoing, Claimants have alleged that Respondent Transamerica is liable for common law fraud; breach of fiduciary duty; breach of contract; breach of the implied covenant of good faith and fair dealing; and negligence. Claimants further allege that Respondent breached FINRA rules, which are the basis for and the standard of care for FINRA member firms and their associated persons. Lastly, Claimants have alleged that Respondent Transamerica is liable under the doctrines of agency, respondeant superior, vicarious liability and was also negligent in the hiring, retention, and supervision of Bruce Slater. If you were a client of Bruce Slater and/or Transamerica Financial Advisors, Inc. and have suffered investment losses, please contact the Hanley Law to explore your legal options. The Hanley Law is dedicated to helping investors nationwide who have been victims of securities fraud. If you have lost money as a result of securities fraud, you may be able to recover your financial losses. Contact us today toll free at (239) 649-0050 for a free initial consultation. According to FINRA’s Disciplinary and Other FINRA Actions publication, Thomas Edward Brenner Jr. (CRD #1489233) of Orrville, Ohio submitted to an Acceptance, Waiver & Consent (“AWC”) with FINRA in which he was assessed a fine of $30,000, suspended from association with any FINRA member in any capacity for 16 months, and ordered to pay deferred disgorgement of commissions of $189,000, plus interest. FINRA alleged that Thomas Brenner engaged in two separate private placements which were rife with supervisory and substantive violations. FINRA alleged that in soliciting customers to purchase a private placement offering, Brenner provided customers with a private placement memorandum (PPM) for the offering and a program summary, the latter of which provided a brief summary of the offering. FINRA alleged that both the PPM and the program summary contained several statements that claimed or implied that the investments were secured, or suggested a level of safety in the investments or reliability in forecasting returns by investors. FINRA further alleged that in soliciting investors for another offering, Brenner provided each investor with an application form, a subscription agreement, a promissory note and an executive summary generally describing the offering. FINRA also alleged that at various times while Brenner was soliciting investors in this offering, a founder of the offering told Brenner that a PPM was forthcoming, but, the PPM was not completed until after FINRA’s investigation of the offering began and well after Brenner had ceased soliciting investors, hence, the PPM was not provided to investors. FINRA alleged that by distributing a variety of documents to investors in each offering, Brenner negligently made untrue statements of material facts or omitted to state material facts necessary to make the statements made, in the light of the circumstances under which they were made, not misleading, and made statements which were not fair and balanced, and were misleading, exaggerated and unwarranted. Edward Jones & Co. L.P. According to FINRA’s Disciplinary and Other FINRA Actions publication, Michael James Barranco (CRD #4825738) of Montgomery, Alabama consented to an Acceptance, Waiver and Consent (“AWC”) with FINRA in which he was assessed a fine of $20,000 and suspended from association with any FINRA member in any capacity for two years. As part of the FINRA AWC, Michael Barranco consented to the sanctions and to the entry of FINRA’s findings that he participated in private securities transactions with three different issuers outside of his member firm without providing proper notice to the firm. Barranco’s suspension is in effect from August 1, 2016, through July 31, 2018. (See FINRA Case # 2015048273301 ). Michael James Barranco entered the securities industry in 2004 when he became registered as a General Securities Representative. He was registered with LPL Financial LLC (“LPL”) from April 2007 until December 17, 2015. FINRA alleged that between 2010 and 2015, while registered with LPL, Barranco participated in almost 40 private securities transactions with three different issuers without providing proper notice to his firm. FINRA alleged that in total, 27 people, most of whom were firm customers, invested over $3.5 million through Barranco. FINRA alleged that Barranco participated in the solicitation of or otherwise facilitated investments by firm customers and others in 13% Senior Notes issued by TMG and that in total, between November 2010 and February 2011, Barranco participated in 35 transactions through which 27 individuals, most of whom were firm customers, invested at least $2,087,000 in the TMG notes. FINRA alleged that certain of the customers held their TMG notes in LPL accounts. FINRA further alleged that in 2014, the founders of TMG purchased a distressed real estate development (“IBH”) and issued 12% Senior Notes (“IBH Notes”). FINRA alleged that Barranco recommended the IBH Notes to two of his customers and they invested a total of $750,000. FINRA also alleged that Barranco then participated in two additional transactions through which the customers converted their IBH Notes into notes in IBH’s parent company. FINRA alleged that Barranco violated NASD Rule 3040 and FINRA Rule 2010. As a result, Barranco was suspended from association with any FINRA member in any capacity for a period of two years and fined $20,000. Also, according to FINRA’s Brokercheck LPL terminated Barranco for soliciting clients to invest in private securities transactions in violation of firm policy. According to FINRA’s Disciplinary and Other FINRA Actions publication, Joseph L. Bess II (CRD #4441939) of Oklahoma City, Oklahoma submitted an Acceptance, Waiver and Consent (“AWC”) with FINRA in which he was assessed a fine of $5,000 and a suspension from association with any FINRA member firm in all capacities for a period of two months. FINRA alleged that from January 2013 through January 2014, Bess marked order tickets for 139 transactions in the accounts of 21 customers as “unsolicited” when, in fact, Bess had solicited the transactions. FINRA Rule 4511 requires FINRA regulated broker-dealers to make and preserve books and records as required under the FINRA rules, the Exchange Act and the applicable Exchange Act rules. Inherent in these requirements is the requirement that the records made are accurate. FINRA has stated that a violation of FINRA Rule 4511 is inconsistent with high standards of commercial honor and just and equitable principles of trade and, therefore, also constitutes a violation of FINRA Rule 2010. FINRA alleged that from January 2013 through January 2014, Bess marked a total of 139 order tickets for the purchase of Exchange Traded Funds (“ETFs”) in the accounts of 21 customers as “unsolicited” when, in fact Bess had solicited each order by bringing the relevant ETF transaction to the attention of each customer. FINRA alleged that the Firm maintained an approved list of securities that could be solicited, and the Firm’s electronic order-taking system would reject any trades in unapproved securities that were marked as solicited. FINRA alleged that because none of the ETF’s that were the subject of the 139 mismarked transactions were on the approved list, Bess marked the transactions as “unsolicited” in order to have the trades accepted by the Firm’s electronic system. As a result of the foregoing conduct, FINRA suspended Bess from association with any FINRA member firm in all capacities for a period of two months and assessed a $5,000 fine against Bess. A.G. Edwards & Sons, Inc. Furthermore, according to FINRA Brokercheck, Bess voluntarily resigned from J.P. Morgan Securities, LLC while under internal review for allegedly soliciting unsuitable annuity products and for soliciting closed end funds which were not on the firms approved solicitation list and marking those trades as unsolicited. According to FINRA’s Disciplinary and Other FINRA Actions publication, Joseph Ronald Butler (CRD #2447535) of Brandywine, Maryland was barred from association with any FINRA member in any capacity and ordered to pay $170,408.18, plus interest, in restitution to his former customer. The SEC affirmed the findings and sanctions following appeal of the Order imposed by FINRA. FINRA alleged that Butler converted an elderly customer’s funds and named himself the beneficiary of her annuity by submitting a falsified beneficiary change request form falsely representing that he was her son. FINRA further stated that Butler took advantage of his elderly customer, who was suffering from declining mental health and who relied on him to help manage her finances. FINRA alleged that Butler, aware of her diminished capacity, withdrew funds from the customer’s bank account by writing and cashing checks payable to himself and to “cash”, made wire transfers from the customer’s account to his own, and used the customer’s accounts to pay his personal tax liabilities. FINRA further alleged that Butler also took the customer to his attorney, where she ultimately executed papers naming Butler her personal representative and the primary beneficiary under her will, and giving him power of attorney. (FINRA Case #201203 2950101). As a result of the foregoing Joseph Butler was barred from association with any FINRA member in any capacity and ordered to pay $170,408.18, plus interest, in restitution to his former customer. According to FINRA’s Disciplinary and Other FINRA Actions publication, Jonathan J. Casiano (CRD# 6607584) was barred from association with any FINRA member in any capacity. FINRA alleged that while registered with J.P. Morgan Securities, LLC, Casiano issued, or caused to be issued, debit cards linked to the accounts of five bank customers. FINRA further alleged that between June 2, 2016 and June 28, 2016, Casiano directed family members and a friend to use the debit cards to make unauthorized withdrawals of funds from three of the bank customers’ accounts totaling at least $14,400. FINRA alleged that Casiano used the misappropriated bank customer funds to make personal expenditures. FINRA Rule 2010 provides that “[a] member, in the conduct of its business, shall observe high standards of commercial honor and just and equitable principles of trade.” By misappropriating funds from bank customers, FINRA alleged that Casiano violated FINRA Rule 2010. As a result of the foregoing Jonathan Casiano was barred from association with any FINRA member in any capacity. According to FINRA’s Disciplinary and Other FINRA Actions publication, Joseph N. Barnes, Sr. of Miami Florida (CRD # 5603198) is suspended from associating with any member firm in any capacity for six months for failing to timely disclose his bankruptcy petitions on his Form U4, in willful violation of FINRA By-Laws and FINRA Rules. Barnes was also fined $5,000. Hanley Law Group is located in Naples, FL. We serve clients Nationwide and in Florida, including Tampa, Sarasota, Naples and Fort Myers. Legal Disclaimer: The information contained in Hanley Law Group, LLC (www.finralawyer.org) website is provided for informational purposes only, and should not be construed as legal advice on any subject matter. No recipients of content from this site, clients or otherwise, should act or refrain from acting on the basis of any content included in the site without seeking the appropriate legal or other professional advice on the particular facts and circumstances at issue from an attorney licensed in the recipient's state. Hanley Law is a nationally recognized securities and commodities arbitration law firm which represents investors nationwide. At Hanley Law we represent investors in claims against their brokers, broker dealers, investment advisors, financial advisors and insurance companies.